Does the iOS 5.0.1 solve the battary problem? 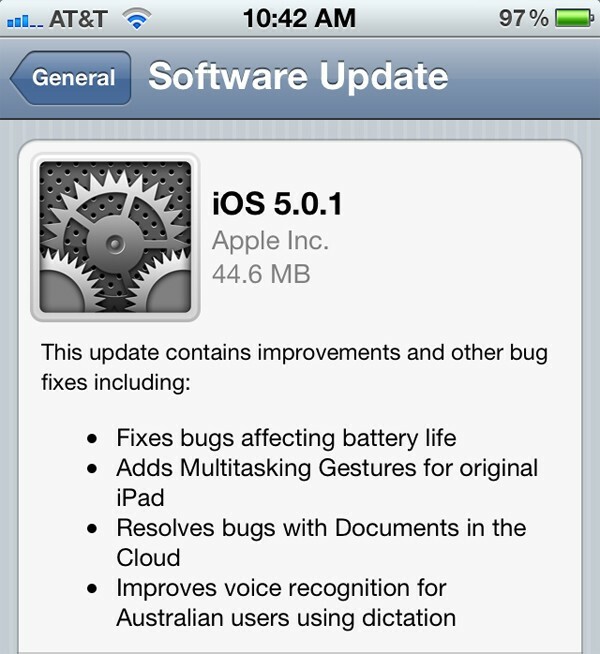 Apple just released iOS 5.0.1, which include fixing bugs relating to battery life and document syncing. But accroding to the users feedback on Apple’s official forum, the iOS 5.0.1 still can’t solve their iPhone 4S battery issues. The battery consumption speed is as fast as before. But, the iOS 5.0.1 update also has something worth recognition, most users said that the system update via OTA is great experience. Meanwhile, some people feel very depressed, because their current power is lower than fifty percent that they can’t make the OTA update.